Heinz Georg Kramm, better known as Heino is a popular singer of German pop folklore. The man needs no presentation, ask to any German person you know and he will knows for sure what you are talking about. He will dig you. Born out of a poor family, son of a catholic dentist, Heino embrace the accordion in early ages. He is the author/composer/singer of many best selling albums (perhaps in Germany), kind of “I heard this story before”, a guy with a poor background become worldwide known for his talent in music and songwriting. But this is not the point. 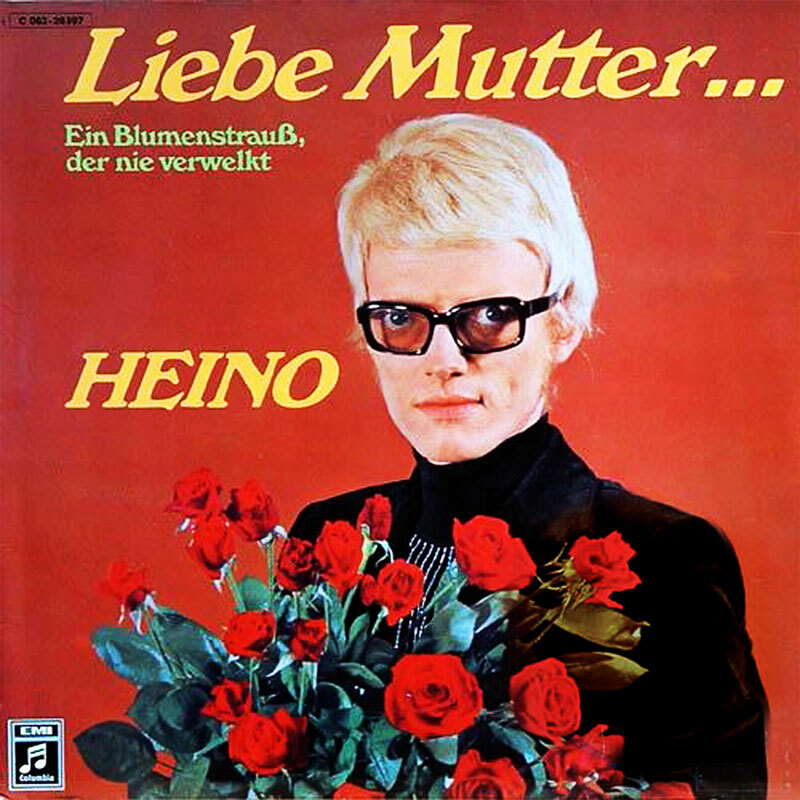 What I am reviewing here is this album, “Liebe Mutter”. Some folk say “you shouldn’t judge a book by looking at its cover”, I am not entirely sure if this is apply also for albums. “Liebe Mutter” widely produced in vinyl, cassette and CD, scares the hell out of me. That blonde guy holding a bunch of roses, looking at you behind that creepy “fume'” glasses gives me absolutely the creeps. On the other side, the music ain’t scary at all. If you dig german folklore (and probably if you’re german) “Liebe Mutter” is the album for you, 14 fresh tracks to blow your mind, forgotten songs of regret, passion, pain, derision and rage. Songs that will hit you right in the stomach. Heinz Georg Kramm sings and play the accordion like today was the last day on earth. Embrace then this work of sin and degrade if you enjoy, sing outloud with him his lullabies of death and decay. Keep this record with value and pride, maybe just don’t let your kids look at the cover and you’ll be more than fine.